The Ministry of International Cooperation and Integration invited the Association Scienza Per Amore and the company Biohyst to the International Cooperation Forum (October 1-2, 2012, Milan), because of the interest aroused by the humanitarian project Bits of future: Food for All. 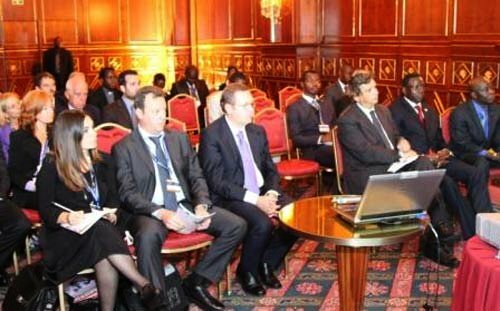 The Forum was organized by the Italian Minister of International Cooperation and Integration, Andrea Riccardi, in collaboration with the Ministry of Foreign Affairs’ General Direction of Cooperation for Development department. The Forum was attended by the Italian highest offices, European Ministers and developing countries representatives. Burkina Faso invited a Scienza per Amore and BioHyst delegation to a meeting because of the ongoing relations, established thanks to the project Bits of future: Food for All (the project is focused on food and energy security, and the development of developing countries). The meeting aimed to present Italian projects in a context of international cooperation. Dr. Pietro Celi, General Director of the MISE’s department of Internationalization Policies.